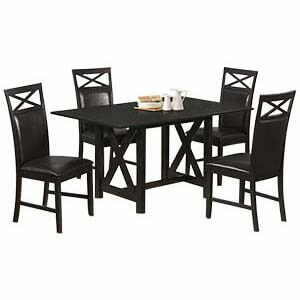 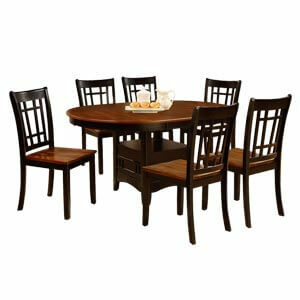 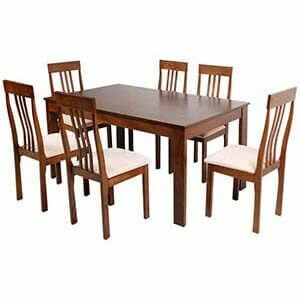 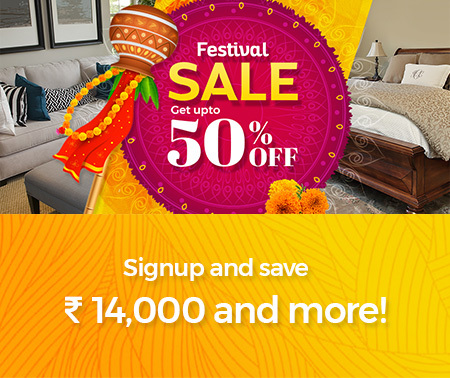 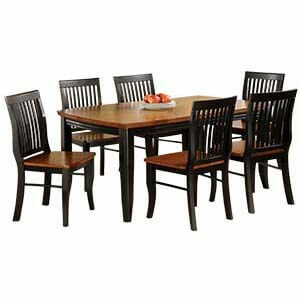 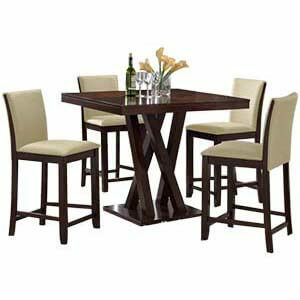 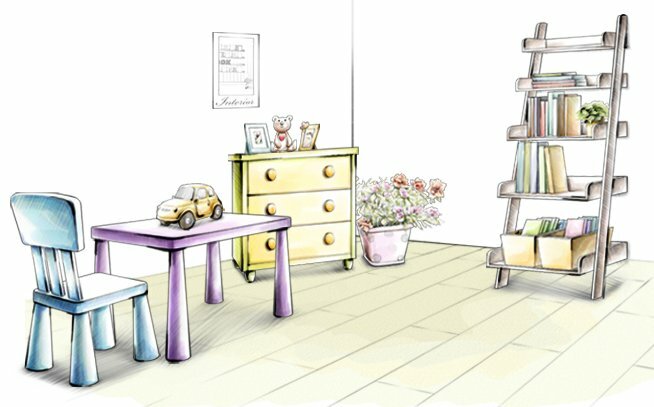 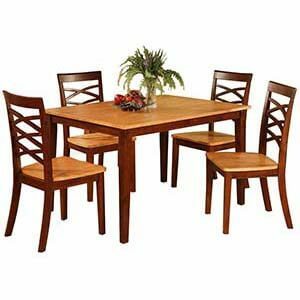 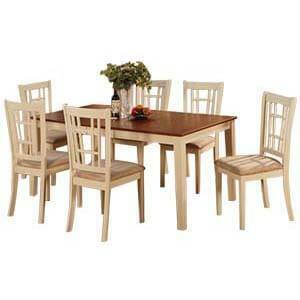 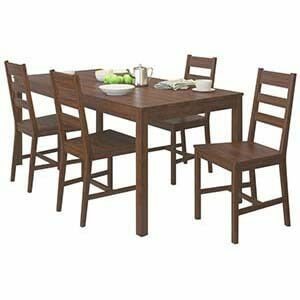 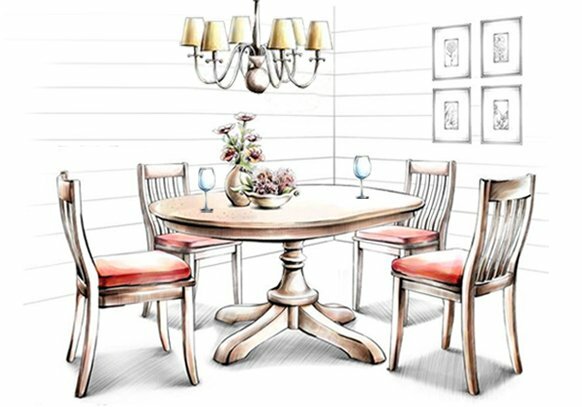 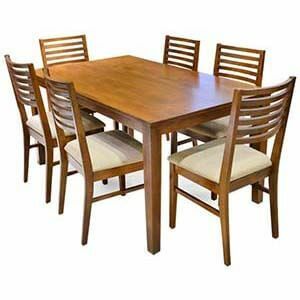 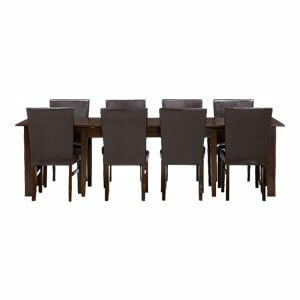 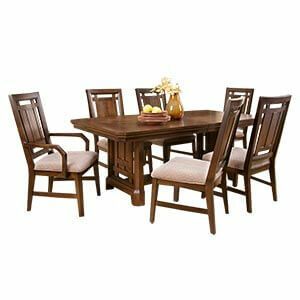 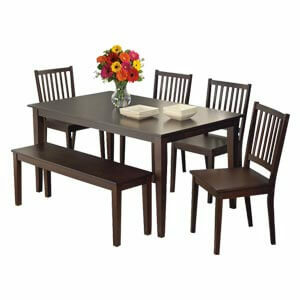 Dwellers looking out for a composite 4 Seater Teak Wood Dining Table will find this arrangement interesting. 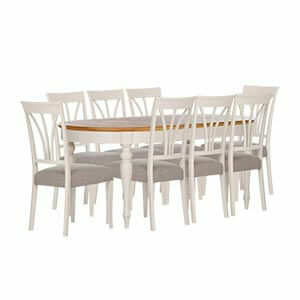 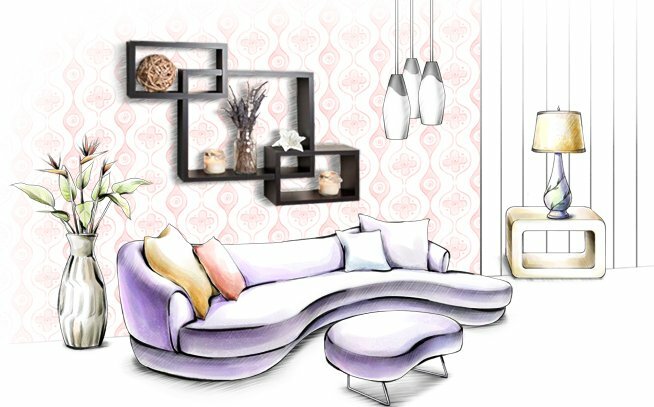 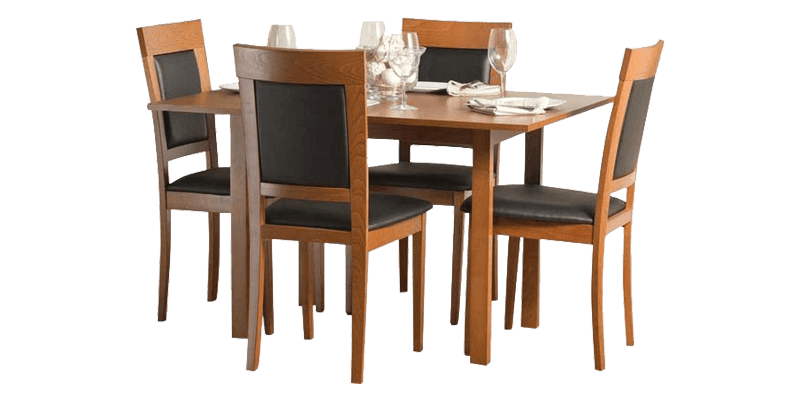 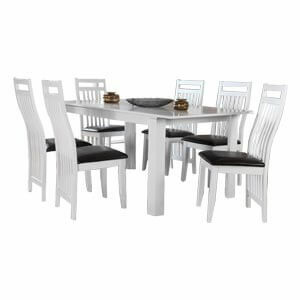 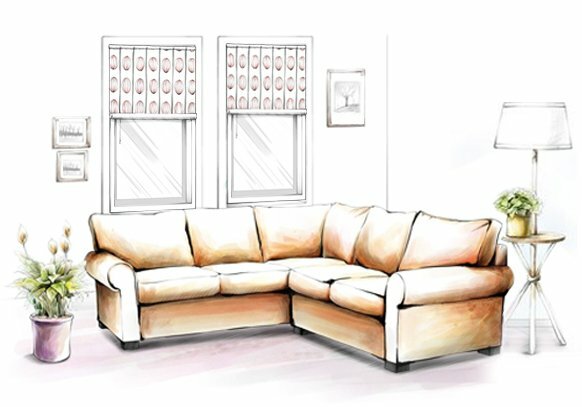 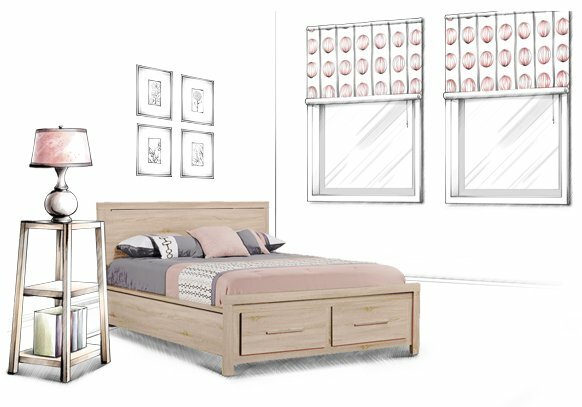 Featuring a single table and four matching chairs having cushioned backs, the furniture is ideal for comfort. 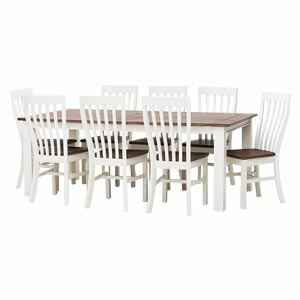 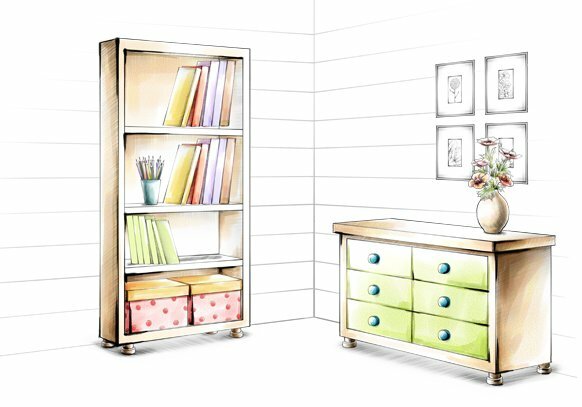 Furthermore, the entire set is handmade and perfect for kitchen or dining room placement.